As of June 5, 2017, Saudi Arabia, UAE, Bahrain, and Egypt severed diplomatic ties with Qatar. They quickly implemented a land, sea, and air blockade against the country. At the crux of the dispute is Qatar’s sovereignty and independence, to which the country is clutching tightly. Flights to Doha from these countries have been cancelled, and the country’s national carrier, Qatar Airways, is restricted from using the airspace of several surrounding countries. With this air ban, the airline is forced to reroute most its flights. If a corporate travel agency books you with Qatar Airways, here are some things to keep in mind. If you do business with companies in Qatar you can still fly there from the US and most other countries, only the Arab states listed above have shut down travel to Doha. Oatar’s Foreign Minister Sheikh Mohammed bin Abdulrahman Al Thani said in an interview with Indian CNN-News18 on Wednesday that Qatar shows zero tolerance towards terrorism, its sympathisers, financers and supporters, stressing that the countries of the siege failed to provide evidence to prove the validity of their accusations against Qatar. America has many bases in Qatar, and Qatar Airways is one of the most reliable carriers in the region. After accusing Qatar Airways and Etihad Airways of receiving unlawful grants from their governments, American Airlines has decided to drop its partnership with the two companies. Until recently, American and Qatar took part in “codesharing,” an agreement where airlines support each other’s growth by selling tickets on the other company’s flights. They both benefit by sharing the revenue from ticket sales. American has decided to discontinue this arrangement based on the less-than-honorable allegations made against Qatar. If you’re an AAdvantage member and are worried about your frequent flier points, don’t stress. American will continue its frequent-flier program with Qatar, despite the codeshare separation. Amidst the severing of ties, Qatar Airways has remained fairly quiet about the entire situation. Other air carriers, however, have been outright with their decision, issuing waivers for travelers impacted by the battle for airspace. These waivers guarantee a full ticket refund at no additional charge, and let the traveler choose the nearest airport that the carrier supports. To date, American Airlines has not issued any waivers. Traveling with Qatar Airways can be frustrating for the coming months, or possibly over the next year, as this dispute continues to play out. Remain patient, and try to take book with other carriers, if possible. 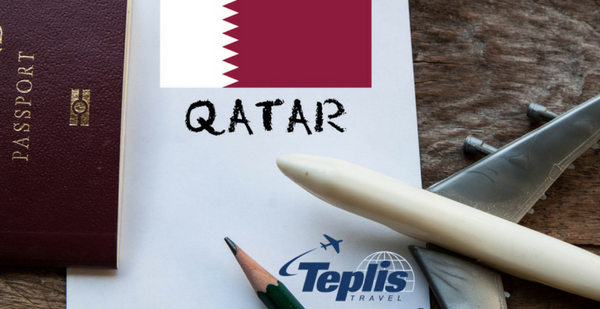 Although Qatar’s relationships with other countries are uncertain right now, your next business trip doesn’t have to be. Call Teplis today at 800-669-6547 to speak with an experienced travel representative about how to navigate the ever-changing landscape of corporate travel. We combine the guaranteed lowest fares with customized platforms to suit the needs of any business traveler.